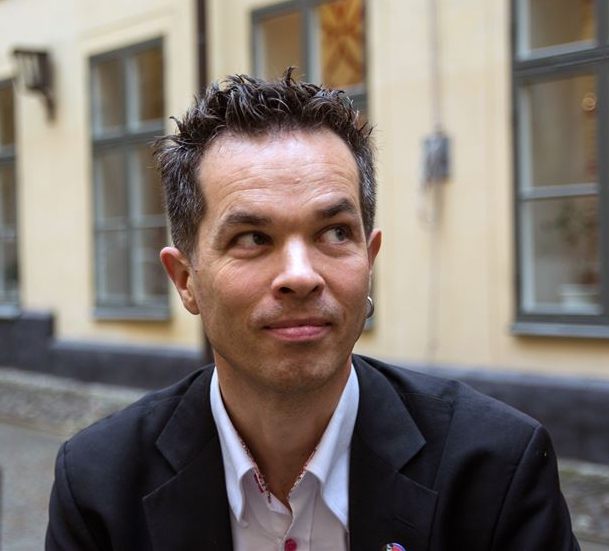 Hi, my name is Mårten Melin and I’m a Swedish author of children’s books. I was born in 1972 and have published over 80 books so far. My latest full-length novel Isdrottningen (The Ice Queen) was published in September, 2018 by Rabén & Sjögren. Now you can read one of my short stories in English! ”A Necklace for Victor” (translated by Katherine Stuart). Please click here to read it! Several of my books have been translated into different languages, please see the list below. Nypon förlag in Sweden has published my short book Så sjukt kär (Lovesick) in English, Arabic, Polish, Persian, Somali and in the Tigrinyan language. I write both poetry and stories, and for children and teenagers of all ages. I write about relations of different kinds and tend to involve supernatural elements in my stories. So far, I have written about kids who are actually ghosts, vampires, witches, trolls, daughters of the devil and about children who turn into cats and monkeys. I like monkeys. In 2006 and again in 2014, I was invited to Reykjavik’s festival for children’s books. In October 2011, I visited München and Nordwärts – festival for Scandinavian children’s literature and two years later Schwedens beste Seiten, festival for Swedish children’s literature in Wismar. I’ve also visited Norway, Finland and Switzerland talking to school classes about my books. I’m a frequent visitor to schools in Sweden, where I write with the pupils and talk about reading. In 2008 I recieved the Hans Peterson Award for my collected works, and in 2011 my book Som trolleri (As If By Magic) was awarded the prestigious Nils Holgersson Plaque. My poetry book Jag är världen (I am the World) was nominated for the well-known August Prize in 2012. It was the first time a non-rhyming poetry book for young people was nominated. Here’s a list of my books which have been published in other countries. • Jävla Lucia (Damn Lucia), published in 2007. In Danish in 2009 as Fandens Lucia. • Amor anfaller! (Cupido Attacks! ), published in 2008. In Danish in 2008 as Tænker kun på Tammi, in Dutch 2010 as Cupido schiet raak and in German in 2011 as Artur, Anton und die Liebe. • Som trolleri (As if by Magic), published in 2010, in Danish the same year with the title Troldbunden and in Polish in 2016 as Chłopak z lasu. • Aldrig förlåt! (Never sorry! ), published in 2011. In Danish in 2013 as Aldrig forladt. • Förvandlad (Transformed), published in 2011. In Danish in 2013 as Forvandlet. • Jag är Love (I am Love), published in 2012. In Danish in 2015 as Jeg er Love. • Vampyrjakt! (Vampire Hunt! ), published in 2014. In Danish in 2015 as Vampyrjagt! • Lite mer än en kram (A Little More Than a Hug), published in 2014. In German in 2016 as Etwas mehr als Kuscheln. • Spökbegravning! (Ghost Burying! ), published in 2015. In Danish in 2016 as Spøgelsesbegravelsen! • Demonpassning! (Demon Sitting! ), published in 2015. In Danish in 2016 as Dæmonbarnet! • Mycket mer än en puss (Much More Than a Kiss), published in 2015. In German in 2017 as Viel mehr als ein Kuss. • Varulvsfeber! (Werewolf Fever) published in 2016. In Danish in 2018 as Varulvefeber! Read more about my Rabén & Sjögren books on the Rabén & Sjögren Agency page. If you want to get in contact with me, please e-mail me at marten+martenmelin.se.